For the last seven years the end of summer and subsequent falling leaves meant that I re-opened the door to my Clean Studio Yoga Studio and welcomed yogis into my home studio to practice for the school year. I embraced the rituals of fall including transitioning kids back to school and creating fall comfort foods for family meals. My mornings were spent teaching yoga and my afternoons dreaming up summer retreats that inspired busy women to take steps forward to tether a work and life balance. I loved it. And yet, as I lived I felt a shifting in my focus. Women who were asking me about my retreats were looking for more than an option to practice in a beautiful place. For many it was an Eat, Pray, Love experiment. After burnout and creating a life that never supported their best interests they were tossing aside the notion that the workplace is a priority and re-focusing on the subtle voices that open up within us as we practice. I was asking myself what balance really meant to women and how I could use the retreat itself to launch women into a wellness re-focus. I knew I needed to take steps forward to re-define my yoga retreats. In a parallel world, an opportunity to teach outside of my studio and reach a new group of yogis presented itself. For the last few years I had noticed an amazing growth in our local yoga community with the energy of new teachers who are inspiring others to practice. Wendy Oberg was one of the trailblazers of this movement and shared her yogic mission for the community as she began creating her own studio concept The Yoga Room . It felt like a natural progression to move into teaching in a studio environment for everyone. This was a chance to reach a broader audience and introduce the practice to even more people. The opportunity had fallen into my lap at precisely the right moment. 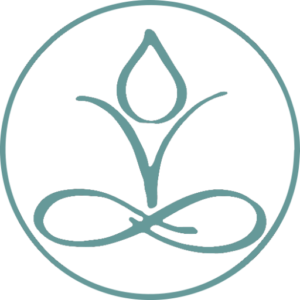 So I softly closed the doors of my Clean Spirit Yoga Business and began initiating a string of changes in my life including a deeper focus on building my retreat business. 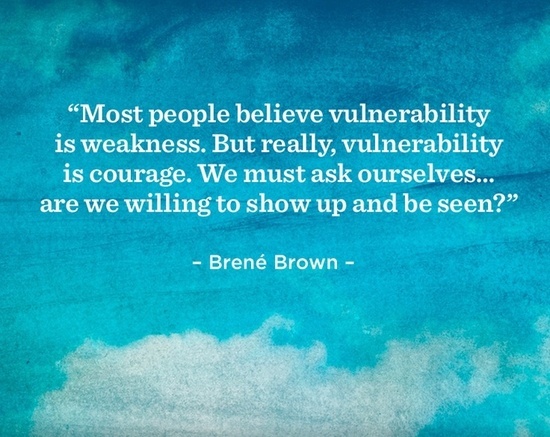 It’s a creative process that feels a lot like vulnerability. Change can be unnerving and I am no exception. I definitely have pre-launch jitters. I have one for sure in my back pocket. It is the strength of a unique past that has defined who I am. In 2010, I jumped into two yoga business full force, opening the doors to my studio and creating a yoga retreat business on Madeline Island. Both ventures were a leap of faith but I had just completed a year dealing with cancer treatment and was convinced that I couldn’t waste another moment backburner – ing my dreams. That mentality is one of the gifts from cancer (but that’s another blog post). Both ventures grew, slowly, but they grew. My first yoga class was comprised of all of my friends (thank you!) and my first yoga retreat was three people. I treated both with every inch of energy I had and my classes grew and retreats began to book. I poured over books and teachings on the practice and how to implement some of those benefits into a transformational vacation. Within a year I had repeat retreaters and regulars in my classes. It hit me in a practice one day that I had a concept that worked, not because I’m brilliant (ha! ), but because the practice itself has been tried and true for centuries. Following that 6,000 year old model of yoga philosophy was a pretty safe bet. People who practice yoga and subsequently experience the mindfulness naturally feel transformation and joy. Blending yoga with an authentic wellness vacation allows retreaters to harness the present moment in a beautiful location. It is inspiring to see that unfold and a gift I receive every day as a teacher. Back to the feeling of fear again. I have asked myself if change is harder as I get older. Why do I find comfort in the status quo? I have to remind (and almost force myself) to cope with this change and take an active part in the life around me including the embracing of business segments that lie in the realm of unknown. I have studied the psychology of fear as it limits so many women and know the only way out is through. I rely upon my tried and true toolkit ~ a yoga and a meditation practice. One of the constants in my world is how yoga has supported me. It has carried me through periods of anger, sadness, and fear. Teaching it to others subsidizes my strength. Rolling out my mat for my practice adds a layer to my best self. Yoga is not only a game-changer for me but for my clients and anyone else who practices the discipline. I personally use it to cope and despite my lack of psychology credentials understand that it is therapy for many. Consider how you feel in Savasana with your edges softened and your mind cleared. My high points as a teacher are seeing so many roll up their mat and realize their full potential. So it is these high points as a teacher and retreat leader that propel me forward. My business is an extension of my soul and I am unfolding it before a world of critics. I can simply give up or harness my courage like a horse. Giddy up. Falling is a real possibility but I truly believe I will only fail now if I don’t climb back on. Somehow I know that many of you will get it. Even as I write this I remind myself that life is wonderful and delicious. Fear aside, I am ready for The Yoga Room and Travel Well Yoga Retreats. Push play and move forward always.